Do you want to add something really special into your Mix? 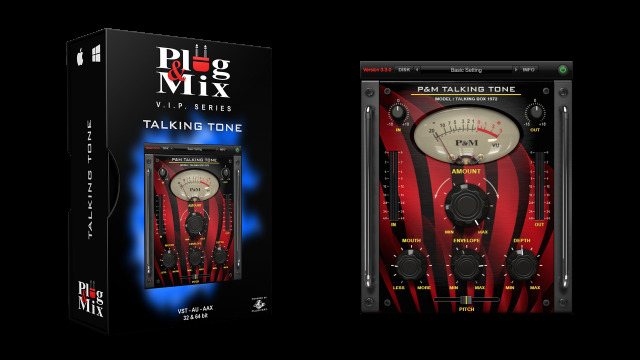 This effect simulates the way voice formants are synthesized and will get your tracks "talking". You can achieve some very interesting and musical effects with a talk box, especially for classic vocoder sounds on the lead voice. This effects unit also sounds great on drums, guitars, and bass, adding an effect that really "communicates". - MOUTH : Blends between different vowels. - PITCH : Adjust the vowels pitch. - ENVELOPE : Controls the speed the effect responds to sound dynamics. - DEPTH : Controls the depth the effect responds to sound dynamics.